I have been indeed fortunate to realize the Grand Unified Theory. This blissful event happened to me after forty years of contemplation on this subject in my spare time since my graduation from college with a Bachelor’s degree in Science with first rank in the university. Albert Einstein was able to discover the mathematical formula E=mc2, but his explanations and inferences from his discovery are not complete. My humble endeavor here is to complete his work and present this paper to you for your review. As a result of this discovery, we are now in a position to solve many of the puzzles and paradoxes that have been challenging scientists for the last four hundred years. With this discovery, we are now in a position to solve many of our most urgent problems of the day, like global warming and energy shortages. Book I introduces the reader to a unified theory in the form of a research paper consisting of five discourses. Each discourse focuses on one major aspect of this theory. The first two discourses introduce ideas that are contrary to current popular beliefs. I request that you bear with me and read through these sections without pausing to formulate questions. The third and fourth discourses elaborate on these controversial ideas in formulating a unified theory.The fifth discourse introduces a definition of the unified theory from my viewpoint; and invites readers to formulate their own view of this theory. It is essential that these five discourses be read in chronological order, from the first to the fifth, and that they are read in one session without interruption. Including this introduction, Book I is 6,769 words long. Therefore, please start reading this section only when you have sufficient uninterrupted time to complete the reading without break. Please hold all your questions until a second reading. Many of your questions are answered along the way as you read and may become irrelevant by the time you finish reading. In case you do have genuine questions after a complete reading, please send them to my email address at rass.nair@yahoo.com. Each discourse begins with an abstract where the central idea is introduced. This is followed by a discourse where the idea is analyzed and discussed under the assumption that the reader is already familiar with the current popular views on the subject. The discourse ends with a summary where the idea presented is reinforced; and establishes the basis of arguments for the succeeding discourses. Let me present you with an unconventional idea: please read Book I as if it is written by you. The expression “My Discourse” applies to the writer when he is writing it. Now that I have finished writing and am presenting my writings for your review, this paper really belongs to the reader when he or she is reading it. I am sure that my very thoughts have gone through your mind at one time or the other. My job here is to present these ideas to you logically so that you can see the real picture and separate facts from fiction. 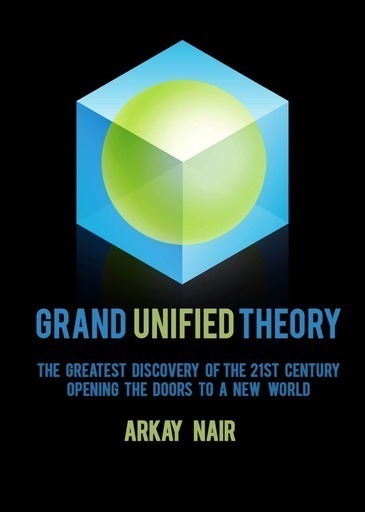 If you are ready to read your Grand Unified Theory, you may begin now! The earth is the center of our universe. Ptolemy is right; Tycho Brahe is right. Copernicus is wrong. Galileo and Kepler perpetuated the mistake that Copernicus made. Mankind has been moving in the wrong direction for the last four hundred years because Copernicus failed to observe an important principle of scientific pursuit, which we may call by the name “Observer Equivalency.” A Thought Experiment is used to explain Observer Equivalency in identifying four types of observers: Earth, Earthling, Alien, and Sky. Conclusive experimental proof for a geocentric universe comes from the famous Michelson– Morley experiments. Mankind had believed in a geocentric universe for a long time. In the second century AD, Ptolemy recorded his observations in the Almagest, which relied heavily on the works of earlier Greek astronomers and was dependable for all practical purposes.However,fourteen hundred years later, Copernicus challenged this theory by reintroducing an old, discarded theory of a heliocentric universe mainly based on two problems—the retrograde motions of the outer planets and the complexity of calculating the epicycles. Tycho Brahe used improved instruments and devoted his full time for observations and calculations. He suggested an improvement on the Ptolemaic system by proposing that the moon and the sun revolved around the earth, which is fixed at the center, but all other planets revolved around the sun. This theory is fully supported by observations; and explains all heavenly motions, including the elliptical revolutions of the other planets around the sun as it circles around the fixed Earth at the center. Copernicus’s heliocentric theory is purely a mathematical model that does not agree with observed phenomena. His theory is only applicable to a solarian (an inhabitant of the sun), if there is such a creature! Copernicus, Kepler, and Galileo failed to define the observer and the place of observation when making these observations. Depending on who the observer is and from where he or she is observing, observed results are going to be different. When our astronauts visited the moon, they saw the earth rising, based on the principle of observer equivalency. We must conduct a thought experiment to understand observer equivalency. Let us think about a common housefly with two large compound eyes on its head. Let us fuse these two eyes into one large eye covering half of its head. Let us now make it large enough to cover its whole head. Finally, let us make the eye still larger so that its entire body is one spherical eye covering its whole body surface. This is the model of the earth as an observer. Imagine the whole surface of the earth as a spherical compound eye with 360-degree vision towards the sky and the center of the earth as its brain. What is the inference of this observer about the heavens? The orbital motions of the heavenly bodies are not observed by the earth. In other words, the earth does not experience the dawn and the dusk that an earthling observes. Instead, it is always high noon for the earth! An Earthling, on the other hand, can see about two radian angles (less than 120 degrees) at a time with the best of peripheral vision; and he occupies a single point space on the surface of the earth resembling a single eye unit of Earth’s compound eye. Unlike Earth, an Earthling does experience a dawn and dusk, and no two earthlings would agree about their independent observational results. A Tokyo observer would insist that he is witnessing dusk (setting of the sun) while at the same time a Boston observer would swear that he is witnessing dawn (rising of the sun).The earth would always see the sun directly overhead. Earth as an observer is different from an Earthling as an observer. Earth’s vision is the sum total of all individual Earthlings’ viewpoints combined. An alien observer is defined as an observer who is not Earth-based. What an alien observer sees is different from what an Earthling sees or the Earth sees as a whole. Since we have assigned the Earth the central position, the alien is always positioned at the periphery. A solar observer (solarian) would be making a true statement when he says that the sun is the center of his universe. So would be the statement of a Martian’s or a Venusian’s. The sky similarly may be imagined to have a compound eye, with a vision from all points in the sky, looking down on Earth from all points inside the celestial sphere. The vision of the sky would be the sum total of all individual alien’s viewpoints combined. The observer is an integral part of observation and inference. As a major in chemistry, I am quite familiar with the methodology that chemists follow. We use the terminology “experiment, observation, and inference.” A chemist records his inferences based on his observations and not those of anyone else. Physicists do not seem to care much to adhere to this principle, and therefore their writings are prone to become fiction. Copernicus is the first science fiction writer, who has been feeding our brains with fiction for the past four hundred years. Apart from the fact that the observer is an Earthling, we must also realize that we are not aware of the existence of any other observer in our universe. No life form, let alone intelligent life, has been found in any other planet or satellite. Therefore, it is perfectly logical to infer that Earth is the center of our universe because life is likely to form only at the center of any universe. Stated differently, the observer tends to migrate to the center of his or her field of observation. More importantly, with the discovery of more matter within the solar system since Copernican times, earth qualifies as the barycenter of the solar system (our universe). This physical model is therefore superior to the heliocentric model. Copernican heliocentric model is only justified mathematically. It is not a physical possibility. The Michelson-Morley experiment provides conclusive proof that Earth is fixed in space, and therefore the speed of light is the same in all directions on the surface of the earth. The scientific community, including the top scientist of the day, Einstein, failed to reach the correct inference from this experiment—which is that Earth does not rotate or revolve. Mathematically speaking, Earth’s rotation and revolution are to be assigned a value of zero. Being a real number, it is perfectly logical to assign this value to Earth’s revolutional and rotational speeds. Now, we face a tremendous task of recalculating all physical measurements based on the heliocentric theory that we have been using for the last four hundred years to be converted to a geocentric model which is the true physical reality. The Michelson-Morley experiment also proved that the speed of light is a constant. This discovery resolved the problem of explaining the diurnal revolution of the distant stars around a tiny Earth simply by adding two words to the statement of this phenomenon as follows: Lights from the distant stars make a complete revolution around Earth once in every twenty-four hours. The earth is the center of “our” universe. For the first sixteen hundred years of the Christian era, we believed so and used that knowledge in our everyday lives and activities. We then decided to rebel against this view and embraced a heliocentric view, even though we did not have any empirical proof to change our view. Therefore, it is logical and scientific to go back to a geocentric system and recalculate our data and correct our mistakes of the past four hundred years. The task is enormous, but it is achievable. The rewards are going to be enormous. We can solve many of our major problems, including global warming and energy shortages, once we attain the correct perspective about our orientation as central in our universe. The terminology “Planet Earth” should be changed. We must call our home “Center Earth” or some other suitable name. The concept of Center Earth is necessary to understand the Grand Unified Theory. The reader should therefore now assume the mindset that Earth is the center of our universe in order to understand the following discourses. is the earth in your opinion flat or is it a globe? Earth is of course spherical as all observations confirm. My difference with mainstream physicists is only about earth's motion. Tycho Brahe correctly surmised that Earth has no motion because of its density. In the geocentric model that is proposed here the orbits of several planets (around the sun) would cross the location of the Earth twice a day. There should be a lot of collisions or near collisions with those planets if that was the case and if not that, the distances to those planets should show much higher fluctuations than those that we observe. The Earth is rotating once a day. One of the many evidences of that is that if the Earth was not rotating that rockets launched would not have enough fuel to achieve the speed needed for a stable orbit. A Solarian cannot observe the a different solar system configuration than an Earthling. Of course, the 2D projection of the movements of the planets that the Solarian observes on a sphere around him is different from the 2D projection an Earthling observes on the sphere around him but there is only one 3D reality. Objects and planets cannot be at different locations at the same time depending on the observer. In this Geo-Heliocentric Model proposed by Tycho Brahe after a (short) life-time of dedicated research, Tycho brahe proposed that the Sun and the Moon orbit Earth while all other planets orbit the Sun. Tycho's student kepler was supposed to complete this research but he changed sides and embraced Copernican Heliocentric Theory. Kepler and Galileo endorsed Copernican Model because the Solar System known to them was small with 6 planets up to Saturn and 10 AU radius.